Dr. Lei Liu received his B.S. and M.S. degree in Biology from Lanzhou University with Professor Rui Wang and completed his PhD. degree in Chemistry from University of Pittsburgh with Professor Paul E. Floreancig. 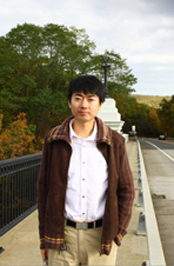 After that, he joined the group of Professor Yoshito Kishi at Harvard University as a postdoctoral fellow. The research interests of the Liu group focus on developing new methodology and strategy for organic synthesis, and applying them to identify effective small molecule agents for pharmaceutical and biomedical research.